Adapted from The New Yorker article of the same name, The Old Man & the Gun tells the mostly true story of a serial bank robber who even in his 70s couldn’t resist the thrill of his next heist. Following a miraculous escape from San Quentin prison, Forrest Tucker (Robert Redford) begins a string of robberies that confuse the authorities and begin to catch the attention of the public. Young detective John Hunt (Casey Affleck) is left perplexed and quickly becomes obsessed with the case. All the while Jewel (Sissy Spacek) falls for Tucker and his amicable demeanour. In real life, Tucker professed to have escaped from prison 18 times and is reckoned to have robbed 100s of banks. What makes his robberies unusual, aside from his advanced age, is his charming manner that leads to bank clerks across the United States telling the police that he was an “absolute gentleman”. In his final acting performance, Redford reminds us once again why he is one of the most beloved actors of the last 50 years. Behind the camera, director David Lowery again showcases his ability to seamlessly move between styles and genres. Having produced both Pete’s Dragon, a remake of the Disney classic, and A Ghost Story, an intriguing metaphysical drama, over the last couple of years it is interesting to see Lowery take inspiration from the New Hollywood films of the 1960s and 70s. 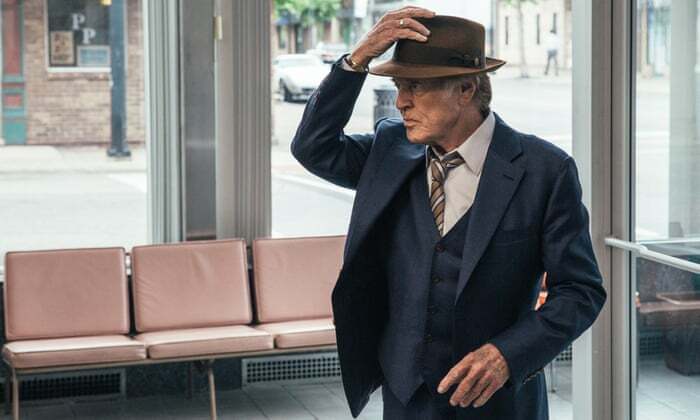 His latest film might feel a little lightweight, especially compared to crime capers like Bonnie & Clyde and Badlands that are clearly a touchstone for Lowery, but there is an undeniable charm and warmth that radiates from Redford and each of his robberies. Lowery has played with this kind of story in the past with his film Ain’t Them Bodies Saints, but his latest film is more playful and less a direct homage to the work of Robert Altman and Terrence Malick. Unlike his previous film A Ghost Story that was almost devoid of plot and dialogue, The Old Man & the Gun embraces old fashioned storytelling principles and has an easy going feel. Beneath the surface, the film has just enough of a conscience to stop it from glorifying criminality and bank robberies. Hunt’s journey to see Tucker’s estranged daughter Dorothy (Elisabeth Moss) may not add anything to the plot but it reminds us of the impact of his crimes and the feelings of those he hasleft behind. It would have been very easy to leave this scene out and its inclusion adds an awareness and openness the film would have otherwise been missing. At the same time, the film makes sure our sympathies don’t wander too far from Tucker. He is a brilliant central character – the kind we see too infrequently – and is an excellent tribute to Redford. A more elaborate, radical, or challenging adaptation could have been made but it would have taken our attention away from the departing star. It seems fitting that Redford is allowed to steal the show one last time.